This outfit blows my mind! It is perfect in every single way! SERIOUSLY WOW!! It's so cute and can be paired with so many items; I know. LOL. You look quite SMASHING :) I love it!!! Wow I love love love your shirt!! 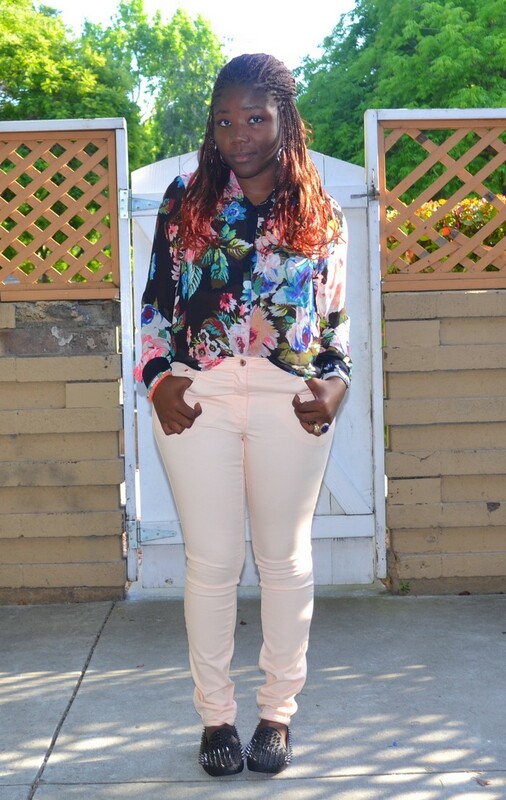 Love that floral shirt and it looks so pretty with the blush denim! 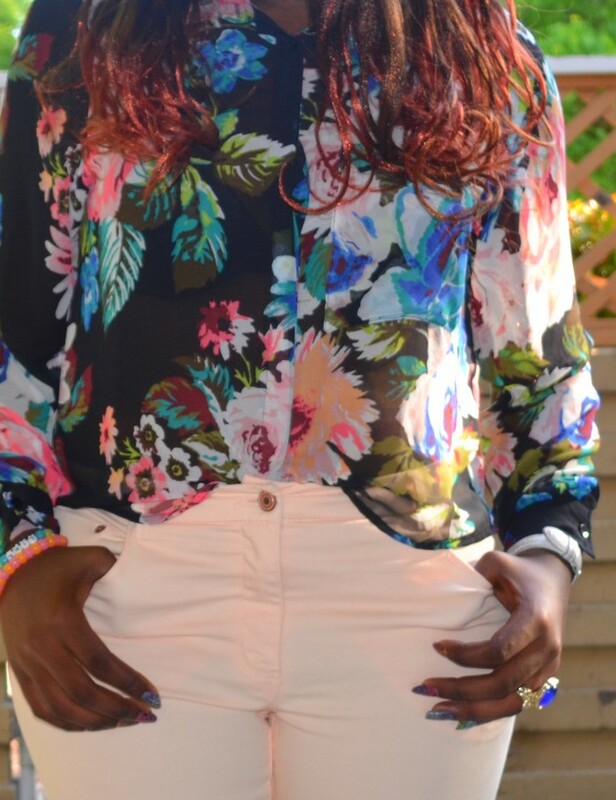 nice floral long sleeve top... i always love floral print! I love this look! 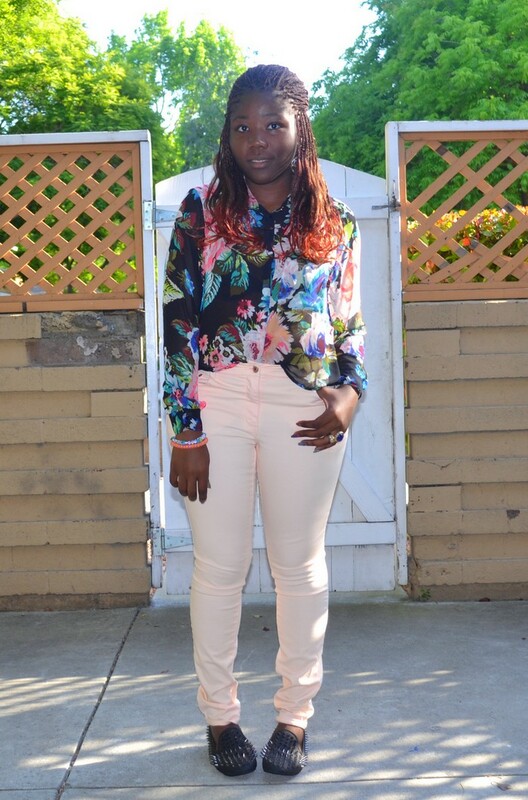 I'm so upset I didn't get that blouse from H&M when I had the chance. You make it look absolutely wonderful! Much love to you diane! This is such a pretty outfit, and LOVE the shoes! Elle est trop belle ta chemise diane. trop belles tes chaussures! 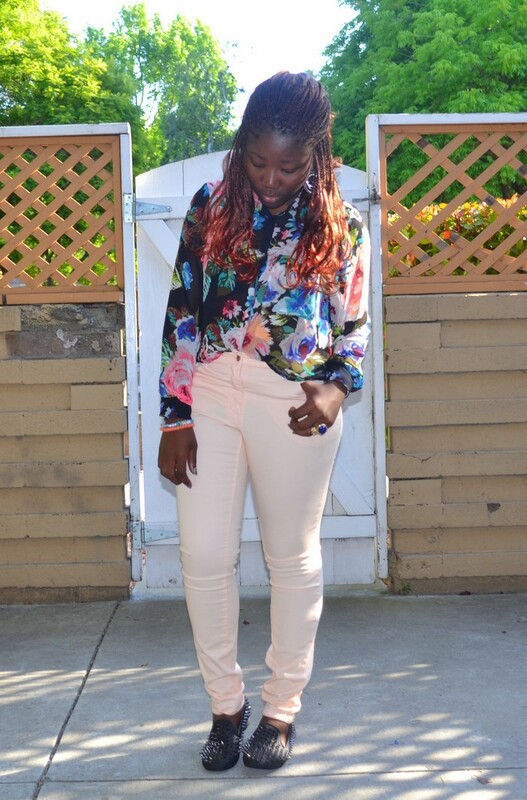 J'aime trop ta chemise fleurie, elle va super bien avec ce pantalon! Only if I could find that blouse in my store :( you lovely as usual! !